Imagine what might happen if Harry Potter and Nancy Drew joined forces to save the planet. Meet twins Abby and Derick Cragbridge, seventh-grade grandchildren of famed inventor Oscar Cragbridge, whose super-exclusive boarding school is no ordinary academy. Here, lessons come to life—literally—with the aid of his fantastic, yet credible, inventions: 3-D holograms, a mind-reading chair, avatars, virtual reality experiences, and a secret invention so powerful it could change history, for better or worse. 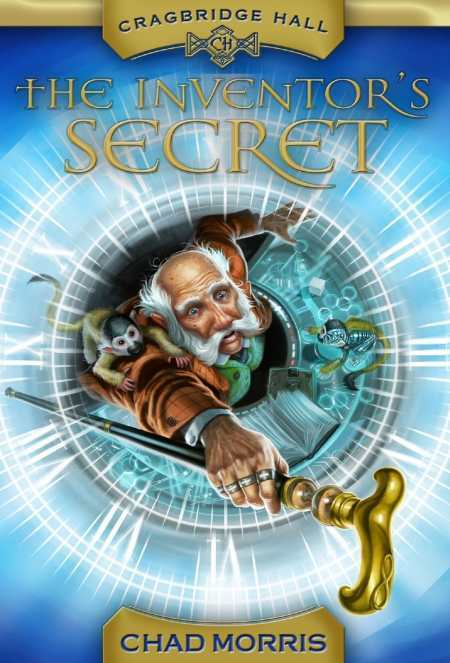 The twins are on a mission to save the world in Cragbridge Hall: The Inventor’s Secret, a middle-grade tale by Chad Morris. They smell foul play when their grandfather and parents disappear. Against all odds, they follow the cryptic clues Oscar left behind, using their grandfather’s inventions to test themselves physically, mentally, and emotionally in order to save their family, world history, and the future of mankind. Derick is an accomplished student and teen heartthrob. Abby shrinks in his shadow—at least until her mettle is put to the ultimate test. The plot is fast-paced and suspenseful, with short chapters ending in page-turning moments. Morris keeps readers guessing, too. Who are the good guys, and who are the bad guys? However, he makes some missteps. There are, for example, scenes of gratuitous violence: When a man chases Abby, intending to kill her, she takes him down, kicking him and impaling his foot on a spear. Misspelled words and missing words abound. And the consequences are serious sometimes: Abby discovers a secret code, but readers don’t have a chance to decode the mystery for themselves due to the appearance of an incorrect clue using letters of the alphabet. Nonetheless, Cragbridge Hall: The Inventor’s Secret is a cracking-good read that could make a thrilling movie. Animators and special effects experts would have a field day with Morris’s science-fiction mystery, and kids will too.